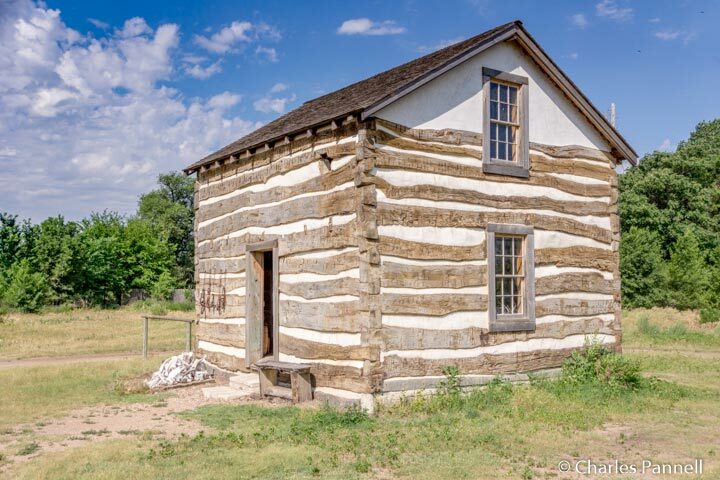 Located near the former Chisholm Trail, Old Cowtown (www.oldcowtown.org) invites visitors to step back into the late 1800s and experience a Midwestern frontier settlement. This 23-acre living history museum — a collaborative effort between Historic Wichita Cowtown and the City of Wichita’s Division of Arts & Cultural Services — features 54 historic buildings filled with over 10,000 vintage artifacts, from period textiles and furnishings to tools and even artwork. Add in a troupe of enthusiastic costumed interpreters, and visitors have everything they need to get a real feel for cattle town life. And although wheelchair access was non-existent in these historic settlements, today access upgrades have been added to Old Cowtown, so wheelchair-users and slow walkers can also enjoy a journey back to yesteryear. Accessible parking is available near the entrance, with barrier-free access over to the visitor center. From there a level pathway leads past the Heller Cabin – one of Cowtown’s best documented properties – around the buffalo hunters’ camp, and over to the Orientation Building at the head of Main Street. There’s ramped access to the Orientation Building, and plenty of room for a wheelchair to maneuver around the interpretive exhibits. A short introductory film is also shown there throughout the day. Across the street there’s ramped access to the old Presbyterian Church. Built in 1870 this church was the first permanent structure in Wichita. Originally located at the intersection of Wichita and Second Streets, this building once also served as a boarding house, before it caught fire and was condemned, and was later relocated to Cowtown. The Hodge House, which is locate next door is also worth a stop. There’s level access to this home, which was originally thought to be a parsonage because of its location next to the church. 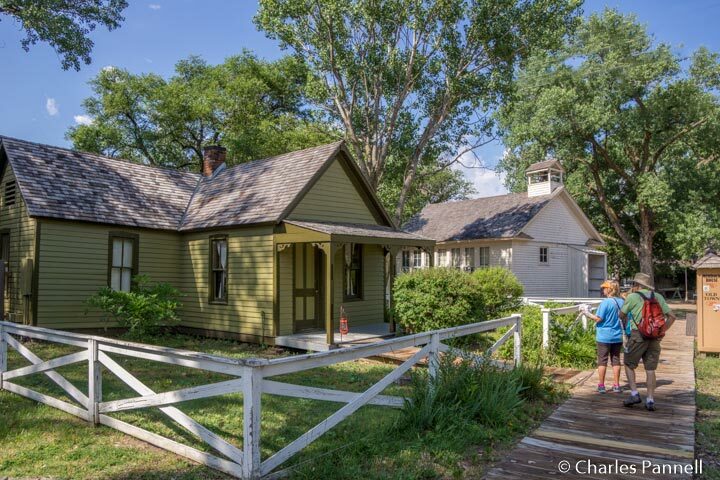 It wasn’t until some further research was done that it was discovered that it was the home of one of Wichita’s first African American families. As an added bonus, you’ll usually find costumed interpreters inside this home. 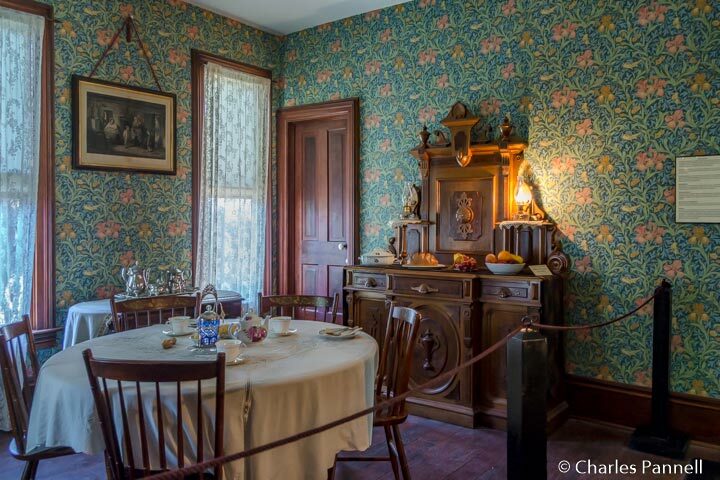 Down the street, you’ll find another historic home – the Murdock House. Built in the early 1870s by the editor of the Wichita City Eagle, this home was fondly known as Eaglehurst. Although there are steps at the front of the house, there’s an accessible entrance in the rear. Take some time to admire the craftsmanship on this Gothic Revival structure that features a gabled roof, hoodmolds over the windows and a classic front porch. Truth be told the best way to experience Old Cowtown is to just wander along Main Street. There’s level access to most of the businesses along the way, and costumed interpreters are on hand to demonstrate western trades and skills. And don’t miss the daily gunfight — right in front of the saloon. Not only is it very entertaining, but it’s also a fitting way to top off an Old Cowtown visit. ‹ Seven Must-Do Western Drives	› Will Medicare Cover an Oxygen Concentrator on a Cruise?